Before examining what's actually in the pipeline for this fall's new iPhone 7 lineup, first consider why there's so much talk of "nothing new" among so many analysts and columnists who happen to be aligned with Google. After all, this is not the first time they've been embarrassingly wrong about Apple. iPhone came out in 2007 and it's now 2016, so that means they've collectively been wrong for nine of the last nine years. I know; I write about it all the time. This year's iPhone refresh certainly isn't the first time that Apple's critics have passionately pleaded that everyone should just please ignore the next Apple launch and patiently--perhaps indefinitely--wait until the company actually has something innovative to show--in a maybe year or two--or even just hold off of on buying iPhones all together so that everyone else apart from Apple can catch a friggen break. In fact, that's been the advice offered every year since iPhone launched a decade ago: hold off and wait on Apple to "truly innovate," and please--just please--consider the alternatives, innovative or not. A long time ago, these same pundits were asking their readers to pay heed to Nokia's Symbian and Microsoft's Windows Mobile. Then it was briefly Palm's webOS or RIM's Blackberry Storm, or a few years later, Blackberry X. However, since 2010 there hasn't been anything else to recommend apart from devices running some version of Google's Android. Would you please just consider something that's not an iPhone? Android is so popular! Incessant recommendations every year since January 2010 to try whatever hardware Google itself was cobranding as Nexus didn't have any discernible impact on what consumers were actually buying, but that hasn't deterred the #NeveriPhone contingent. As Nexus impotently circled the drain of irrelevance for years, Samsung emerged as the strongest anti-iPhone vendor--even if its Galaxy line was merely a wannabe-iPhone as opposed to some sort of disruptive, innovative new fork in the evolution of smartphones. That became sadly clear when Apple launched iPhone 6 in 2014 and crushed the entire remaining profitable sector of Samsung's smartphone business. The momentum of Samsung's phone division had already begun to wane following the "Peak Galaxy" that secretly occurred back with the Galaxy S4 in 2013--but that's the type of facts that unravel the Story Line, so nobody ever discussed it much. Samsung is only noteworthy when it appears to offer some impediment to Apple's success. On its own, the company is as exciting as a refrigerator-toaster or a Tizen-smartwatch. Last fall, Apple released an iterative refresh in its iPhone 6s shortly before Samsung's own iterative refresh in its Galaxy S7. While Apple's iPhone 6s was again portrayed as being "not much new" for "only" sporting 3D Touch, a faster chip and a better camera, Samsung's Galaxy S7--and its Edge variant--were presented as being some sort of quantum leap in smartphonie. Like Apple's new iPhone, the new Galaxy was also faster and had a slightly better camera. And Android is working on some kind of 3D Touch copy, too, we were assured. Wait a year or two, like we told you to do with Siri, 64-bit, Metal graphics and Touch ID. Of course, that's just paraphrasing. Compare the "bottom line" in CNET's reviews: "the newest iPhones are top-to-bottom better phones with lots of enhancements; iPhone 6 owners don't need the upgrade, but everyone else should seriously consider it" versus "the fast, powerful, beautiful Galaxy S7 is 2016's all-around phone to beat." CNET did point out that the "beautiful" Galaxy S7 was also an "annoyingly reflective smudge magnet", and that its "awesome camera" actually captures "plastic-looking selfies even with no filter." The site also gave the Galaxy S7 4.5 stars, nearly twice the score of its user reviews. 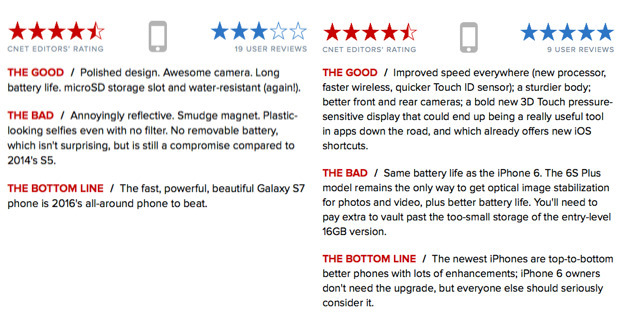 iPhone 6s also got 4.5 stars from CNET, slightly less than the perfect five stars that real users gave it. Fortunately for Apple, iPhone 6s was enough to maintain a massive lead in sustainable profitability over its largest partner and largest competitor, even if it didn't break new records in selling more premium phones than have ever sold before in the history of the world (i.e., versus 2015, when Apple reported the largest corporate profit of any tech company). So far in 2016, Apple has remained on its trajectory of iOS expansion with premium hardware, while Samsung maintained its beleaguered businesscraft of blowing out 80 million devices while earning a quarter of Apple's profits achieved from sales of fewer, but nicer and more desirable iPhones. Counterintuitively, any growth in Android sales is also good news for Apple, for two reasons: first, Android frequently isn't competing directly with Apple at all. Only a fraction of Android sales are premium flagships that could be expected to rival iPhones. Samsung--which makes up half of Android sales by units and which therefore sells the most premium handsets on the platform--only sells about a tenth of its volumes in the form of premium models. The rest are "carrier friendly, good enough" devices. Those lower end models highlight the second reason why Android growth supports Apple's growth: iPhone is the hungry giant sea monster of the smartphone ecosystem that eats up entry level Androids. In an imaginary world where Apple's main competition were instead basic phones or two cans and a string, there wouldn't be a large population of "carrier friendly, good enough" krill to feed Apple's whale. The rather sloppy way that Google is running Android--frustrating fragmentation, poor updates, serious security and privacy issues--is effectively cultivating a massive platform of fodder that figuratively stuffs itself into Apple's mouth. If you haven't noticed, that's precisely what's causing Apple's fat reserves to balloon by $10 billion in free cash flow every quarter. Apple isn't manufacturing its own customers; Android licensees are pulling in new buyers and showing them how desirable smartphones can be, while also flattering Apple with imitation that tells their buyers that Apple's iPhone should be their next upgrade. 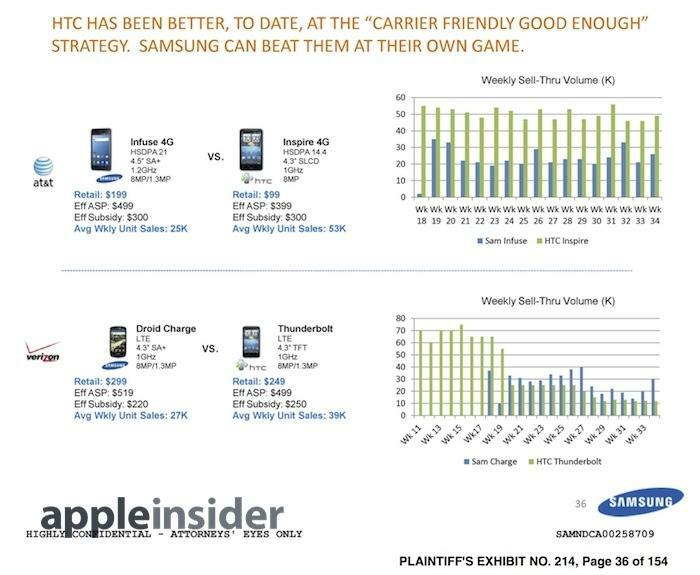 There's a reason why so many tech columnists are careful to never point out that Samsung's flagships are mostly just flags, making up barely a tenth of Samsung's total smartphone volumes, while Apple's newest flagship is really most of the armada it sells every year, and that the ships behind it are also late model, premium iPhones, not "carrier friendly, good enough" dinghies. Acknowledging that reality would do nothing to support the popular narrative that Android is winning--in the same way that billions of krill are "winning" the oceans while the whale population is experiencing "market share losses" in comparison, at least in terms of unit volumes. Increasingly, Apple is a hungry sea beast with no remaining predators. As Samsung's smartphone business fades in significance, it's helpful to remember previous Android saviors. Recall Google's original partnership with HTC, the "Apple of Taiwan," and formerly the company that produced virtually all Windows Mobile devices? Or Google's subsequent partnership with Motorola, the purported "Apple of middle America"? Google loved Motorola so much it bought the company. Oops! 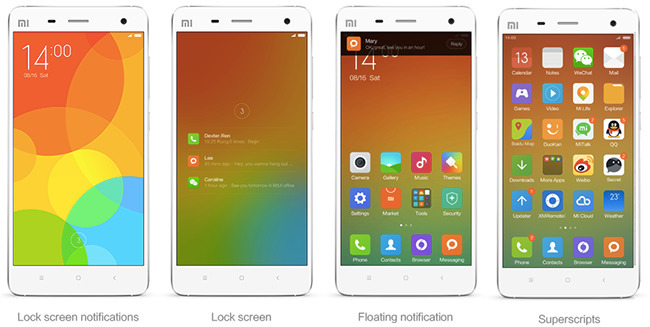 And then there was Xiaomi, the "Apple of China." After the Wall Street Journal decided to stop promoting Samsung's Story Line, it picked up Xiaomi and volunteered to be Western capitalism's doe-eyed propaganda arm for the celebrated startup of China's Communist Party. Remember when Western Media was incessantly critical of the American auto industry in the 1960s and looked to East Germany's Trabant to save the world by bringing affordable car ownership to the proletariat via State-sponsored, aggressive value engineering? Me neither! Then again, back then Western Media wasn't under the thumb of a globalized advertising company seeking to reduce quality of life in exchange for another dollar from selling propaganda ad banners, even if those messages happen to be false or straight up illegal. Unsurprisingly, Xiaomi turned out to be even more of a phony horseshit operation than Samsung. Who could have guessed that a privately held company operating within China's smoke-and-mirror economy might not actually be able to deliver upon its grandiose promises of being the newly printed equivalent of the most successful tech company to ever appear in the history of humanity, the storied pearl of Silicon Valley? I mean really, this sort of thing rolls out of the garage every day. In China, there are lots of garages! And Xiaomi hired a Google executive, so it should have inherited all of Google's unlimited prowess in designing and building phones, as adeptly demonstrated across years of Nexus and Moto product introductions! Later this year we will probably be able to read new reports of an "Apple of India," as well as the next couple "Apples of China" in the pipeline. Given how easy it is to duplicate Apple, it's really puzzling that so many companies that seem to be very good at certain other businesses have been really, really bad at trying to be Apple, including Amazon and its Fire Phone fiasco, Microsoft and its decade of Windows Phone/Mobile failures, Blackberry, Nokia, Sony, Palm and and so on--and of course, Google itself. With belief like this, who needs facts? Given its failure to reflect on any critical thought related to Samsung and Xiaomi, it almost seems unreasonable to expect that the Wall Street Journal would exercise any critical thought when reporting about Apple's potential competition going forward, particularly in India and China. It's not like the Wall Street Journal expressed any skepticism of trickle down economics or the anti-regulation ideology that gave us the 2008 recession. Why not give Communist-Capitalism a break, too? Surely even a broken newspaper should be correct at least twice a day, because that works with clocks, right? This is the same financial newspaper that hired tech editor Joanna Stern after nearly a year of her experience in gushing accolades of Android ideology at The Verge and, before that, Engadget. 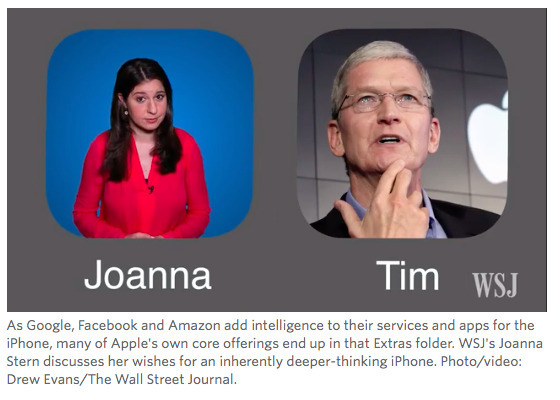 Her core competency appears to be the expression of contempt for Apple. After this year's Google IO paraded little more than me-too catchup-vaporware imitating Amazon's Echo and Apple's FaceTime, iMessage and iOS 9, Stern wrote a public demand letter insisting that Apple show up to WWDC with a copy of everything that Google claimed to be working on (for release later on at some point in the future). Stern also insisted that Apple dump its first party apps to promote its rivals' offerings on iOS, while conversely also suggesting that Apple port its iMessage crown jewels to "the Web, Windows and Android." Maybe if the latter happened, Stern could recommend that Google and Microsoft dump their own messaging apps to make way for Apple's on their platforms. Oh my sides hurt. Stern also carried water for Google's surveillance-based proactive search strategy, imploring Apple to drop its whole privacy-schtick and get on the Google-Facebook ball with its own massive user data collection efforts designed to profile users for effective exploitation via advertising. "While I applaud and appreciate your assurance of privacy," Stern advised Apple's Tim Cook, "my worry is that you simply can't afford to maintain that mentality when the competition has such a great advantage." Principles, shminciples! Don't you get it Apple? VR and AI are in the news! We're talking about it! We tell you guys what to do, because we are journalists! That's our role: to shape innovation in the global economy and offer opinions on investment (and acquisitions!) based on our broad experience gained from a few months' of writing opinions closely aligned with the needs of our blogs' largest advertisers. Mr Cook, haven't you noticed that all of the good ideas in the tech industry haven't come from Apple, but sprung straight from tech blogs where brilliant people are busy complaining about a lack of innovation while at the same time weeping over Apple's rude treatment of floppy drives, legacy serial ports and now the headphone jack? You can't break these legacy eggs if you want an innovation omelet! New and old are two sides of the same coin! Also, follow Google, Facebook and Microsoft more closely, given how well all have done in smartphones. Apple is just making too much frigging money and wasting it on frivolous things like battery chemistry, 64-bit silicon, and advanced security mechanisms that we don't really need because we've already volunteered our entire personal spectrum of privacy to Google, Facebook and Microsoft. Telling Apple to copy Google is almost like wagging a finger at Spain and demanding to know when the country will be innovating with its own Brexit strategy, given how swimmingly things have worked out in the U.K., despite nothing substantial even having occured yet, apart from resignations and other implosions in various metrics of financial status. And really, who cares about facts and numbers when you have a wildly emotional message that taps into populist feelings by leveraging false promises to deliver things you have no intention of actually attempting to do? Android magically makes everything more affordable, just like extremist right wing succession plans all imply the ability to magically get rid of all those pesky immigrants. The trumped-up finger wagging at Apple prior to WWDC was like an Upside Down Reagan imploring Mr Gorbachev to "build this wall!" Don't do anything new, just innovate! Why can't you innovate!? Copy Google, for starters. Will iPhone 7 offer anything new at all? Outside of the Android bloggers, there's been a constant, parallel stream of criticism directed at Apple by financial analysts--the group that has been correct about Apple over the last nine years about as frequently as Android bloggers have. One of their biggest concerns is that iPhone body case designs leaking from suppliers in China do not appear to be radically different than the last two generations of iPhone 6/6s (the top two smartphone models to ever ship in the history of the world). Don't do anything the same, innovate! Why can't you innovate!? Copy Google, for starters. Actually, radical new changes are not commonly associated with stoking significant new demand in the business of smartphones. Think of the webOS Palm Pre, the Amazon Fire Phone, all the huge variations in Microsoft Lumia or experimental shapes from Nokia itself, Motorola and (prior to its crisis of design) Samsung. The greatest, sustained success in smartphones has been based on building on a solid design, not radically departing from it. That's why everyone copied the iPhone rather than continuing their oddball designs that nobody bought. That's also true for technology in general. The most successful (and imitated) PC laptop has been MacBook Air, which Apple has only incrementally advanced each year. Its MacBook replacement is a refinement, not a radical shift prominently visible in its unibody shell. Outside of Apple hardware, that's also apparent. Windows ruled for years without overtly changing much. It lost its way once it started making big changes, first with Vista and then with the Zune Metro-inspired 7 and 8 versions. Even Apple's own Mac OS X took multiple years to win over Classic Mac users and wean them off of dependance upon the much less sophisticated software they were familiar with using. "Revolution" sounds good as part of populist message, but in reality success is more often the product of incremental, evolutionary progress. Specific to iPhones, the greatest leaps Apple makes every year are not in the body shape, but in the OS, the silicon running things, camera sensors and logic, display advances and its apps and services. None of these advances really show up in the body shell. Apple did stoke new demand with larger iPhone 6 models starting in 2014, but now that it has three iPhone form factors, there isn't any apparent need for different phone sizes just to do something different. 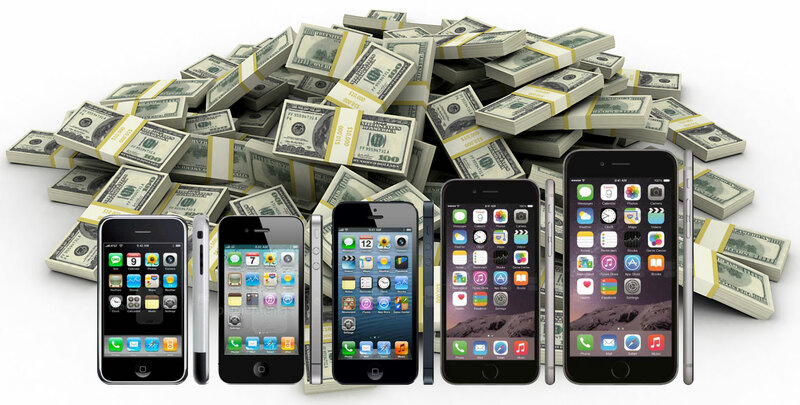 Instead, we're likely to see parallel refinement of the things that actually sell iPhones and other iOS devices. Remember how silicon chips used to be a really important subject among anti-iPhone bloggers? There were once Google's latest Androids with exciting Texas Instruments OMAP chips, and Microsoft's fans were bathing in the tantalizing specifications of Nvidia's Tegra. Neither of those chip families even exists for smartphones anymore. Today not so much is said about chips, because Apple has amassed a significant lead in its own custom silicon. However, if you look at the history of mainstream PCs, the reason we called it "Wintel" was because the progress of Intel's chips were at least equally important to Microsoft's Windows software. Even today, one of the main things Mac buyers look at when evaluating a new purchase is the processing power of the Intel chip a specific Mac model is using. Imagine how fast the state of the art in smartphones could advance if one company were building both iOS 10 software and A10 silicon...oh man I set up that joke wrong. Telling a story succinctly is not my core competency, but suffice it to say that iPhone silicon is also a major reason for many users to upgrade. Silicon is not just critical for overall speed, but also plays a major role in enhancing usable battery life. Apple's A10 will likely also advance motion tracking for fitness and health apps, and enable entirely new types of apps and games. That's kind of a big deal, and it's kind of easy to predict because it's happened every year since the first iPhone. Isn't it curious that all of these "nothing new in iPhone 7" reports completely omit any recognition of the fact that Apple has consistently doubled Ax processing power every year while also advancing power efficiency and graphics performance, while also building in support for new capabilities ranging from faster IO and memory to security features supporting Touch ID and Apple Pay? 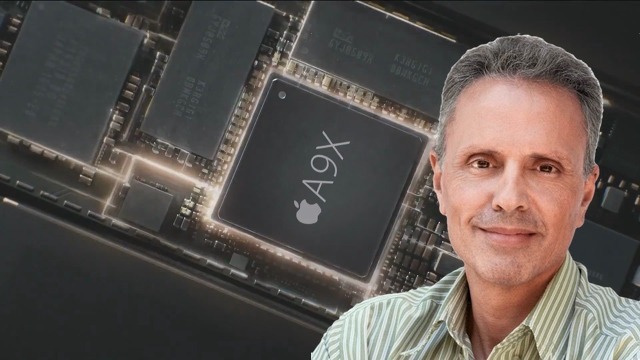 Why does Apple have a chip designer--Johny Srouji--on its executive committee? In parallel, the advancement of iPhone's camera has also played a significant role in encouraging upgrades each year. While camera sensors have incrementally improved, the image processing capabilities built into Apple's Ax silicon have advanced even faster, providing the logic to capture better photos more rapidly with sharper focus and more accurate color, tone, and exposure. This year, Apple's high end iPhone 7 model is expected to deliver dual camera sensors, building upon technology sufficiently advanced for Apple to have acquired a series of other companies including PrimeSense, LinX, Metaio, Emotient, Faceshift and Perceptio. Those purchases amount to one of the largest outlays Apple has ever made for outside technology. Maybe it was done on purpose, with a goal in mind? Yet again, analysts looking at these rumored Chinese iPhone case designs--as if they were magically meaningful tea leaves offering a portent of doom that nothing new was going to happen this year--have actually overlooked all of this, even with the aperture of two lenses staring right at them. There are incredible things you can do with two camera sensors: depth perception, image correction, expanded dynamic range in exposure and color gamut--just ask anyone who has ever worn an eyepatch. Two eyes are better. Add together new lenses and advanced imaging silicon and you have a really exciting potential for entirely new kinds of image capture. But Apple has also already demonstrated something else related to iOS photography: vastly advanced image cataloging by subject, location and image type, now being done directly on the phone in iOS 10 Photos. Its shouldn't be surprising that the best and fastest implementation of this will be on Apple's latest A10-powered, iPhone 7 hardware. Apart from Photos, iOS 10 also advances a series of other apps, all of which will benefit from faster CPU and GPU processing capabilities. Each year, there are new features in iOS that are only supported in the latest, newest devices due to new hardware features they include: previous examples include Siri, Continuity, Touch ID and last year's 3D Touch. Apple focused a great deal of attention on 3D Touch at WWDC, advancing it from select Home icon and Peak and Pop features to being a significant element in navigating iOS 10's new advanced Notifications and Widgets (shown below), as well as adopting it across its own apps such as Apple Music, and promoting its adoption among third parties. By the time iPhone 7 ships, a massive number of iPhone 6 users will be reaching the end of their second year and will be looking to upgrade. 3D Touch will offer a compelling reason to pick one of Apple's newest models. It would be naive to think that that there won't be other exclusive hardware-related features, because Apple seems to be pretty good at knowing how to induce customers to buy new hardware by creating really desirable new features... as in every year for the last nine years of iPhone, five years of iPod before that, and across several decades of Macs. Along with annual chip, camera and new integrated hardware-software updates, another major historical reason for iPhone users to upgrade has been new display technology. iPhone 4 introduced the Retina Display, iPhone 5 introduced a taller screen affording an extra row of icons and iPhone 6 introduced larger new display form factors. In parallel, display technology also advanced in less obvious ways, delivering brighter images and more accurate color. Apple has already revealed two new hardware display technologies: True Tone, which matches the display to ambient light using four-channel ambient light sensors on the newest iPad Pro (below), and support for the DCI-P3 Wide Color Gamut, an expanded ability to reproduce more accurate color than the existing "Standard RGB" could. Apple first introduced the 5K iMac with this new capacity, then brought it to iPad Pro earlier this year. The prevailing sRGB can't reproduce the most vibrant, vivid colors we can see. Interestingly, many cameras capture RAW color data that simply doesn't show up on today's sRGB displays. The work Apple has done to support Wide Color in both hardware and software on its 5K iMac makes commercial sense to professionals working with commercial photography or vibrant nature images, and is really an expansion of the ColorSync color management that already existed on Macs. 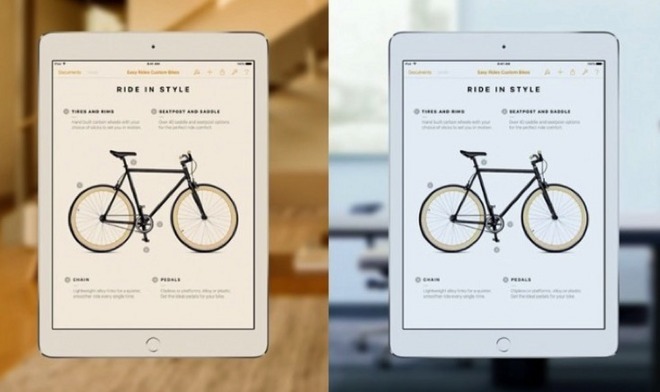 However, bringing Wide Color to iPad Pro involved creating new software support for advanced color management in iOS, with backward compatibility to enable the existing library of App Store titles to continue to work, and new frameworks for developers to adopt to work with new 16-bit per color, Wide Color images. Apple pretty obviously didn't do all this work just for one new model of iPad. Building support for Wide Color involved changes to UIKit, Core Animation, Core Graphics, Core Image, ImageIO, SceneKit, SpriteKit and WebKit--a major undertaking spanning much of the company's software groups. Given the attention Apple devoted to Wide Color at WWDC, it seems quite clear that Apple will also bring Wide Color, and likely a True Tone display (like the new iPad Pro, above), to iPhone 7, resulting in more vibrant and accurate color display--in apps, on the web, and even for users' existing photos--that buyers will consider a significant advance and a reason for upgrading. Yet again, none of the analysts who are obsessing over the supposed "boring case" of iPhone 7 have even stumbled onto this potential, despite it standing right there, looking them in the face on Apple's marketing pages for iPad Pro. Another detail that seems to have escaped the "where's the innovation!?" crowd relates to audio reproduction. 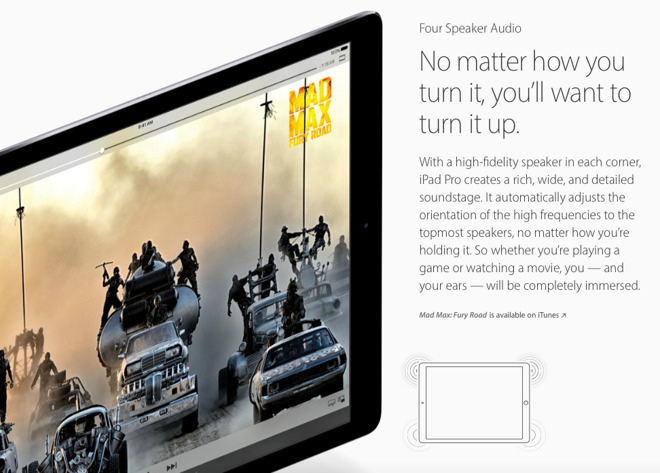 Along with expanded Wide Color features, this spring the new iPad Pro also introduced four speaker audio playback (below) which can adapt to the orientation of the device. A second reason for thinking that Apple will enhance audio playback on iPhone 7 is its acquisition of Beats, which formerly promoted licensed audio enhancement features on devices from HTC and later HP. Apple has made its Beats-derived Apple Music initiative an important new business segment, so incorporating new audio reproduction technology in iPhone 7 seems a little too obvious to even predict. In addition to embellishing device audio playback, Apple is also expected to remove the legacy audio jack on new models and focus attention instead on wireless Bluetooth audio or wired Lightning audio, both of which offer major, significant benefits over today's analog plug, ranging from tangle-free convenience to superior sound reproduction. Removal of the headphone jack is the one new feature expected in iPhone 7 that columnists are choosing to talk about, but predictably their tone ranges from skeptically critical to full on Armageddon-level condemnation. Removal of the headphone jack is the one new feature expected in iPhone 7 that columnists are choosing to talk about, but predictably their tone ranges from skeptically critical to full on Armageddon-level condemnation. The most extreme reaction unsurprisingly originated with Nilay Patel at Stern's old stomping grounds at The Verge. Patel called removal of the headphone jack "user-hostile and stupid," imploring Apple in a subheading to "have some dignity." While enumerating a variety of perceived problems, Patel's core complaint seems to revolve around: "5. 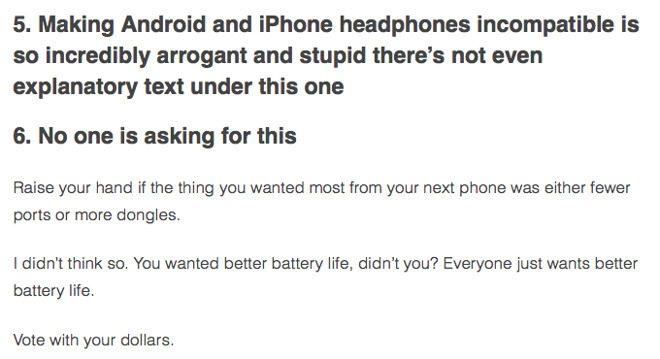 Making Android and iPhone headphones incompatible is so incredibly arrogant and stupid," because while Android phones might similarly move away from headphone jacks, they probably won't be adopting Apple's Lightning because it would cost them money. Writing for Ars Technica, Andrew Cunningham wrote that while getting rid of floppies or the 30-pin iPod connector or DVD drives made sense, a move away from headphone jacks seemed like a bad idea because "the headphone jack has been literally everywhere for figuratively forever." That's not really true though. The physical headphone jack certainly has existed since the 60s, but it hasn't been consistent, or even compatible across devices--particularly between Apple's devices and those across the rest of the industry. That's because Apple has incrementally improved upon it while various industry players have followed or strayed from Apple in random directions--that often made no sense at all. Early iPods included a wired remote (a long dongle of sorts) that used a ring of additional contacts surrounding the headphone jack to enable physical playback controls. The 3G iPod introduced a special four pin serial interface next to the headphone jack for this purpose, enabling more advanced serial communications in addition to stereo audio output. That 2003 model also introduced Apple's 30-pin Dock Connector, which supplied USB connectivity. In later models, Apple used various pins of the Dock Connector to deliver types of data the headphone jack couldn't: composite and component video, RGB video, digital audio and control signals. At the same time, Apple also layered new control and microphone features into the headphone jack itself, using a fourth conductor. Other phone companies were also doing this, enabling similar remote control or volume features to be incorporated into headphones, in addition to an integrated mic. But different groups of manufacturers implemented this change in incompatible ways. One phone standards body developing the "Open Mobile Terminal Platform" decided the innermost pin of the headphone jack should connect to a ground wire, an implementation adopted by Samsung, Sony Ericsson and Nokia. But that made the mic-enabled headphones designed for these phones incompatible with virtually all standard music playback equipment, including iPods. Apple chose to build its mic-integrated iPhone earbuds to be compatible with previous stereo headphones, using the innermost ring for its mic and leaving the grounding ring as the third conductor next to the right and left audio pins on the end. HTC also followed Apple's convention, and later Nokia switched as well. However, those companies also created their own signaling conventions for audio playback controls that also rendered them incompatible with Apple's. The Lightning jack was also designed to be capable of weatherproofing, could be plugged in in either direction, and to be both durable and thin. Five years later, the necessity of having two ports on iPhones--one of which primarily serves only to provide analog audio--has run thin. Apple has the capacity to solve this issue because it already has an installed base of nearly 1 billion iPods and iPhones using Lightning connectors. Anyone can ship Lightning-equipped headphones or other audio equipment without wondering if there will be a demand for peripherals using a "new" port. This is actually the same way Apple solved incompatibility issues with old fashioned headphones: it shipped so many millions of its own devices that eventually everyone--even Samsung--was forced to drop their use of incompatible headphone ports and follow the standard Apple developed, which made more sense anyway. And of course, Samsung could today license the use of Apple's Lightning port on its Android phones, the same way it licenses IP from ARM or Qualcomm or any number of other vendors. Android devices are not incompatible because of Apple; they're incompatible by their own design. USB-C, which has some similarities to Lighting (because development of both involved Apple) does not have an installed base of 1 billion devices. Not even Samsung's most expensive Galaxy S7 flagships use it. That makes it a much less attractive standard for replacing the old fashioned audio jack. 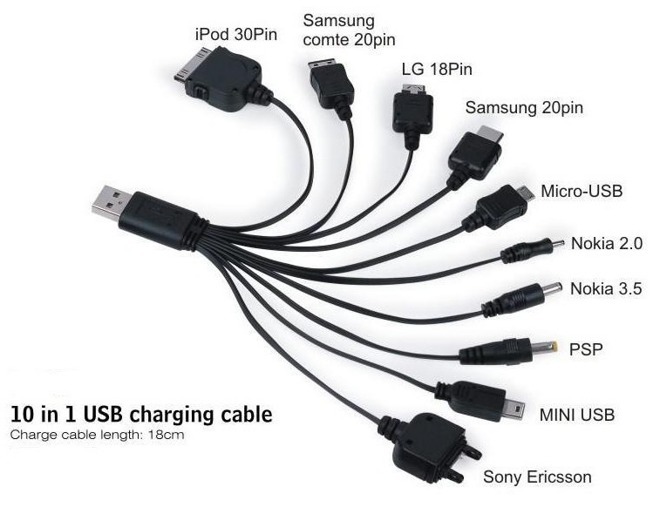 In fact, while Apple has only ever built phones with two different types of connectors (30-pin and Lightning), across the same 15 years Samsung itself has built phones with everything from multiple types of (20-pin) proprietary adapters to two different types of mini-USB, to the bizarrely wide 31-pin micro-USB 3.0 (on Galaxy 5) and the current 5-pin micro-USB, even before making any jump to the latest USB-C plug. That's at least 6 mobile connectors from Samsung compared to 2 from Apple. Samsung has also jumped between two different "standard" audio jacks. But please, tell us more about how Apple is "user-hostile and stupid" for simplifying mobile devices for the future, and how it should look to the patchwork of Android vendors for the sake of "compatibility." Apart from iPhone 7 sporting the latest iOS 10 on the most advanced, fastest-ever A10 silicon, with advanced photography features, new display and audio technology and enhanced weatherproofing, the shape of the case doesn't seem to show any big changes. There's another phone currently on the market that has the same "no new shell" problem, but it's in such demand that it's still hard to find in stock.